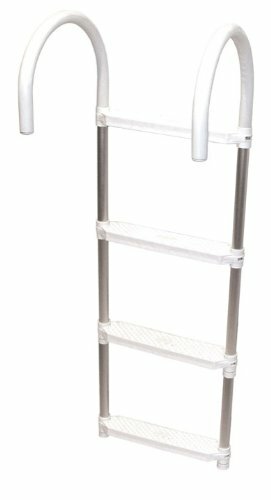 Ladder Aluminum 4 Step Folding. Easy to fold and store. Varied sizes for multiple boats. Protective rubber to keep from marring the boat. Easy to grasp getting into or out of the water.